A few years back, I was working on a project in a facility that had a number of groups using the space. There was a group of students doing the props and furniture for a show, and they were so proud of how far under budget they had come. They were given $300 to do all the props and furniture, and they had only spent $30. Here’s the thing though: it looked like they had only spent $30, and spending a bit more money could have made it look a whole lot better. We talk about the importance of not going over budget, but we rarely talk about the flip side: not using enough of your budget. 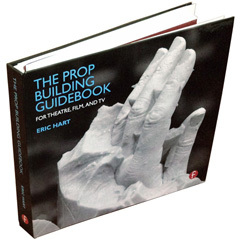 As props people, we are always looking for a great deal or a bargain that other mere mortals may think impossible. And it’s great to get an item for a fraction of the price you would normally pay… if it looks like the full-priced item. If you have $300 to spend, it should look like you spent $3000. It’s a great skill to try and produce as much as possible for as little money as you can. If you have zero budget and you only spend $30 on all the props and furniture, that’s quite the achievement. But if you are given a budget of $300 and you still come in with the $30 solution, it makes me wonder what happens when you have a budget of $1000. Or $3000. Or $10000. Are you still going to show up with the $30 solution? Because managing larger budgets has its own set of skills: knowing when to buy nicer materials, or when to buy certain items to save time fabricating them; paying money for little details that make your prop look more like the real thing; hiring extra help or outside contractors to help you get more done in the same limited time frame. It makes sense if you compare it to your other resource: time. If you only have two hours for a project, you will probably come up with a very creative and inventive solution, albeit not a very impeccable one. Now, if you have two weeks for the same project, imagine showing up with a prop that looks like you whipped it out in two hours. You wouldn’t let your time go to waste just to prove you can make a prop with minimal effort, so don’t let your budget go to waste just to prove you’re a spend-thrift. The same is true with the budget. I allocate all the money I have to specific items; I don’t leave any large chunks sitting around (other than contingencies, which I build into the budget). Of course, as rehearsals progress, the budget shifts around; items are added or altered, I discover solutions that allow me to save money, etc. If a change requires me to spend more money than I was anticipating, I take that money from something less essential. However, if new conditions cause me to save more money than I was anticipating, I find somewhere else to spend it. Maybe I was using a cheap solution for a nonessential prop, and now I can buy a nicer version for stock that I know I will use in later shows. Maybe I buy some hardware that I was planning on fabricating, and save myself some time that I can use elsewhere. Or maybe I just buy some more dressing, because you can never have too much dressing. If everything works out, by the time I get to opening, my budget is pretty much on the nose. Sometimes, things are cut or changed at the last second, and the opportunity to spend the money never comes up, and I come way under budget. I don’t just run out and start buying random things. The important point is that I had plans for that money. You should have a plan for how you are going to spend every dollar in the budget given to you, rather than trying to avoid spending any dollar. You can tell when things were done for cheap. In the first act of “A Social Highwayman,” at the Garrick Theatre, a game of poker is played. One of the players, William Norris, puts a fifty-dollar bill, stage money, on the table and makes an uncomplimentary remark about thieves just as Edmund M. Holland, who plays the part of a valet, is entering the room. Mr. Holland approaches the table when nobody is looking and steals the fifty-dollar bill. The property man forgot to give the bill to Mr. Norris last Wednesday night and Mr. Norris did not discover that he had forgotton to ask for it until he was on the stage. Then there was great finessing to get a bill without letting the audience know anything was wrong. Finally Mr. Norris slipped toward the wings and asked several employes of the theatre to let him have a bill. The stage carpenter was the only financier in the party, and he promptly handed to the actor a five-dollar bill, good money. Mr. Holland has a habit of destroying the stage money after he makes his exit. The act is unconcious and due to nervousness. After the performance Mr. Norris went to Mr. Holland’s dressing room and asked that the stage carpenter’s bill be returned to him. “Oh, I tore that up,” remarked Mr. Holland, pointing to a lot of pieces on the floor. Mr. Norris said a few terse words, looked ruefully at the small pieces of greenback, and went sadly away. He gave the stage carpenter $5 and tried to keep the story quiet. First published in The New York Times, February 9, 1896. The ever-inspiring prop maker Ross MacDonald has a post on some of the period paper props he has made for HBO’s Boardwalk Empire over the past four years. 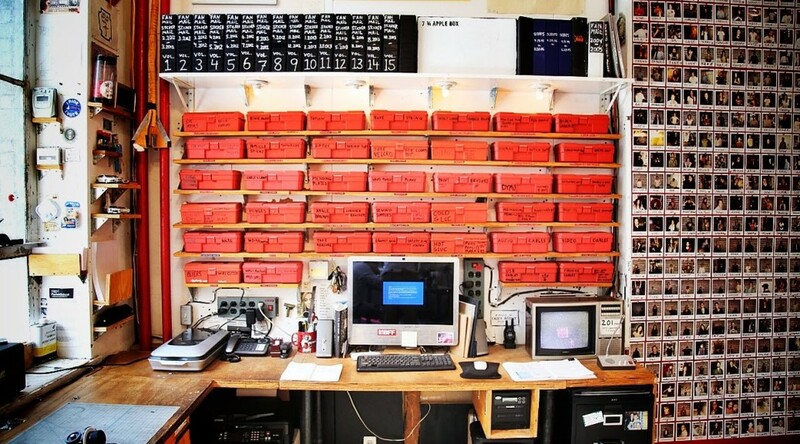 His props are always well-researched and produced on vintage machines as close to how they were originally produced. Collector’s Weekly has a great piece on the fifty year history of Easy-Bake Ovens. If you have never checked out their blog, this is a great piece to start on. Their stories are always a cut above the rest, filled with tons of great photographs, and delving into the history of various objects in great detail. If you are interested in making props while spending barely any money on materials, check out the Cardboard Armory. As the name suggests, this blog details various armor and weapon projects built with little more than cardboard, hot glue and the occasional piece of PVC pipe. Though directed at woodworkers, Popular Woodworking’s “Top 6 Ways to Become a Better Woodworker” is just as relevant to the prop maker. Ok, it’s actually five ways, since one of the ways is to read Popular Woodworking (though if you build prop furniture from wood, it’s a good magazine to check out). Alpha Officium makes historically-accurate coins out of real metal. His website has some common coins like Florins and Groats, and he can also do custom orders if you need something more specific.